I’ve been fortunate to check off many of the countries on my travel bucket list in recent years, but I’ve still only scratched the surface of what the world has to offer. I can’t wait to snorkel in Australia, see wild animals in Tanzania, and eat authentic cuisine in Italy, to name just a few experiences on my wish list. For me, the best reasons to visit a country are art, culture, history, food, wildlife, natural sights, and city life. Now that I’ve visited Cuba, Iceland, and the Philippines, here are the six countries I hope to visit next. Anyone who’s been reading this site for a while knows that I’m a huge fan of road trips. 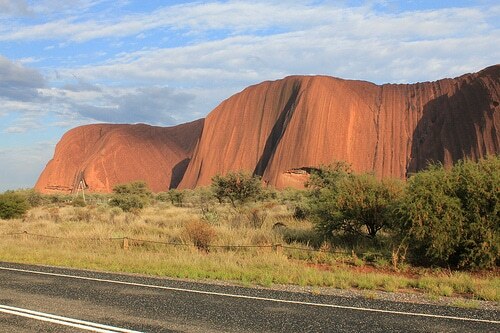 Few countries lend themselves to the road trip as well as Australia. Sure, the island is big, hot, and sparsely populated in some areas. But those minor negatives are outweighed by the opportunity to see things like kangaroos and barrier reefs. I hope to spend several weeks in Australia to explore all the major regions. Even if it didn’t have a rich history of architecture and art, Italy has food worth traveling for. I can’t imagine a better vacation than a week spent downing Italian cuisine like pizzas and pastas while visiting the Colosseum and the Roman Forum. Venice has welcomed massive numbers of tourists lately as well, so I’ll want to visit there before it gets even more crowded. Next spring I’ll be taking a long-awaited overland African safari through multiple countries. The one I’m most looking forward to is Tanzania. There’s such a wide variety of activities here, from the island fun of Zanzibar to the epic heights of Mount Kilimanjaro to the “big five” wildlife sightings in the Serengeti. I won’t have enough time to summit Kilimanjaro, but just seeing the mountain will be a cool experience. I didn’t truly appreciate the beauty of Indonesia until a friend visited recently and lit up my Instagram feed with gorgeous photos. Although the rice fields of Ubud look amazing, my number one reason for visiting will be Komodo National Park. This UNESCO World Heritage Site is where tourists can view thousands of the giant komodo dragons on their home soil. Few European countries can match the number of historic attractions that Greece has. I’ll be going off the beaten path to see some small towns before heading to some of the popular beaches. I’ll most certainly be hitting up the famous tourist spots in Athens as well, including the Parthenon, the Acropolis, and the Temple of Olympian Zeus. I’ve been obsessed with Andorra since I had to give a middle-school presentation on it. This tiny mountainous country nestled between Spain and France is known for skiing, shopping, and food. The appeal of visiting here has to do with its tiny size. Less than one-eighth the size of Rhode Island, Andorra has no train stations or airports, so the only way in is by vehicle. Those are the places I can’t wait to visit. Which countries are on your wish list? Returning to Glacier National Park for "Mission: Mountain Goat"